FG plans to establish body to regulate social media – Royal Times of Nigeria. The National Council on Information (NCI) has recommended the setting up of a council to regulate the use of social media in Nigeria, DailyTrust reports. The recommendation is contained in a communique issued at the end of Extraordinary Meeting of NCI on Hate Speeches, Fake News and National Unity held last week in Jos, Plateau state. 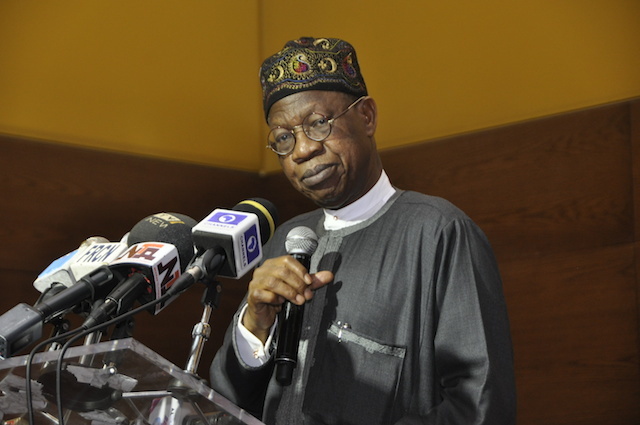 According to DailyTrust, the Council which was presided over by the Minister of Information and Culture, Lai Mohammed, recommended the use of stringent measures in checking conventional media and their programmes. The Council noted that social media has no address, and as such vetting and editing posting in social media might be difficult. The Council also recommended that information managers at the state level should open a website that would immediately counter report of any misinformation posted on social media. The Council noted that social media might take over the 2019 elections because Nigerians have come to rely on information on social media than on conventional media.